Jurassic Park III is a 2001 American science fiction adventure film and the third installment in the Jurassic Park film series. The film stars Sam Neill, William H. Macy, Téa Leoni, Alessandro Nivola, Trevor Morgan, and Michael Jeter. It is the first film in the series Steven Spielberg did not direct; neither was it based on a book by Michael Crichton, although numerous scenes in the film were taken from Crichton’s novels Jurassic Park and The Lost World. Events depicted in the film take place on Isla Sorna, an island off Central America’s Pacific coast, where a divorced couple have tricked Dr. Alan Grant into helping them find their son. After the success of Spielberg’s film Jurassic Park, Joe Johnston expressed interest in directing a sequel. Spielberg gave Johnston permission to direct a third film in the series, if there was to be one. 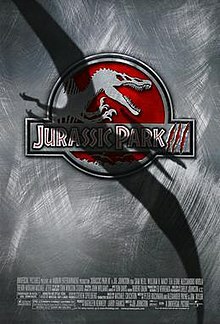 Production of Jurassic Park III began on August 30, 2000. Despite mixed reviews from critics, the film was successful at the box office, grossing $368 million worldwide. A sequel, Jurassic World, was released on June 12, 2015.